Romana Andò is Assistant Professor of ‘Sociology of Communication and Fashion’ and ‘Audience Theory and Analysis’ at Sapienza University of Rome. Her research interests concern audience and fandom studies: media consumption practices, online fandom, TV engagement and social television, visual social media and fashion consumption; YouTube content creators and teen fandom. She is the Fashion Studies Master Coordinator. Hannah Hamad is Senior Lecturer in Media and Communication at Cardiff University, UK and the author of Postfeminism and Paternity in a Contemporary US Film: Framing Fatherhood’ (New York and London: Routledge, 2014). She is a member of the Celebrity Studies editorial board. Neil Ewen is Senior Lecturer and Programme Leader in Media and Communication at the University of Winchester, UK. He is co-editor of First Comes Love: Power Couples, Celebrity Kinship and Cultural Politics (New York: Bloomsbury Academic, 2015) and Capitalism, Crime and Media in the 21st Century (Basingstoke: Palgrave Macmillan, 2019). He is also Cultural Report section editor of Celebrity Studies (Routledge). Alessandro Saggioro is Full Professor in History of Religions at Sapienza, University of Rome, Italy, chair for Interreligious dialogue and cultural mediation in honour of S.M. Ḥamad binʿĪsā Āl Khalīfa. He has been working in the field of the history of religions since 1995, when he started his PhD, carried out in 1999. He has dealt with the dynamics of pluralism, territories, and knowledge of the religious fact. He has worked in a comparative veneer in the theoretical field, taking teaching courses in Methodology and historiography of the history of religions, as well as in many applied field of study, such us Religion and cultural mediation and Symbology in the history of clothing. His career has been characterized by a long experience in directing courses of every level and in several activities involving the coordination of research groups, the organisation of national and international conferences, the direction of various editorial products, such as the oldest and most important International Journal of the History of Religions in Italy (“Studi e Materiali di Storia delle religioni”, 1924-), the oldest living book series on the History of Religions in Italy, (“Chi siamo”, Bulzoni, Rome 1975-) and two recently-born book series (“Sapienza Sciamanica” and “Quaderni di Simbologia del vestire”) supported by an international editorial board. Particularly, since 2011 and until 2014 and again starting from 2016, he has directed – and he is still directing – the Master Degree on Religions and Cultural mediation, which is unique in Italy. Andrea Minuz is Associate Professor of Film and Media History at “Sapienza” University of Rome, Department of Art History and Performing Arts, where he also teaches Italian cinema, directed a permanent workshop in Screewriting and co-directed the “Sapienza Short Film Fest”, a film festival focused on students short film and videoessay. He has published essays in multi-authored volumes and various articles in academic journals. His major books are Shoah e la cultura visuale. Cinema, memoria, spazio pubblico (2010) and Political Fellini. Journey to the end of Italy (2015). His current research is focused on the rise of reality television in the italian context. He is co-director (with Christian Uva) of the book series “Italian Frame” (MimesisInternational), an english language series devoted to the most original and outstanding research in the field of Italian studies, with a focus on film, media and visual culture. He is also member of the International Board of “Mostra Internazionale del Nuovo Cinema” (“Pesaro Film Festival”), on of the major Italian film festival devoted on the discovery of emerging filmmakers, founded in 1965. He writes for the italian newspapers “Il Foglio” and “Il Sole 24ore”. Gaston Franssen is assistant professor of Literary Studies at the University of Amsterdam, the Netherlands. His research interests include contemporary literary culture, celebrity and fandom, and mental illness narratives. In 2016, he edited Celebrity Authorship and Afterlives in English and American Literature (Palgrave Macmillan); in 2017, he edited Literary Authorship and the Construction of Identity, 1800 to the Present (Amsterdam University Press). Furthermore, he has published on the celebrity politics of Dutch politician Geert Wilders (Celebrity Studies, forthcoming) and the celebritization of mental health self-care at work in the public self-narration of popstar Demi Lovato (European Journal of Cultural Studies, forthcoming). Sean Redmond is professor in screen and design at Deakin University, Australia. His research interests are in film and television aesthetics, film and television genre, film authorship, film sound, and stardom and celebrity. He convenes the Melbourne based Eye Tracking and the Moving Image Research Group, and the Science Fiction Research Group at Deakin University. His published works include A Companion to Celebrity (Wiley-Blackwell, 2015), Enchanting David Bowie: Space/Time/Body/Memory (Bloomsbury, 2015), The AFI Film Reader: Endangering Science Fiction Film (AFI, 2015), Celebrity and the Media (Palgrave, 2014), and The Cinema of Takeshi Kitano: Flowering Blood. (Wallflower, 2013). With Su Holmes, he edits the journal Celebrity Studies, short-listed in 2011 for best new academic journal. 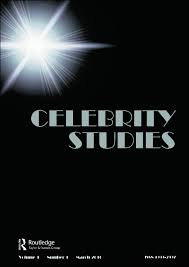 His latest book, Celebrity, for the Routledge Key Ideas in Media and Cultural Studies series, will be out in August this year. for Doppiozero, with which she published in 2016 the ebook Mitologie dell’intimo. Her latest book is Social Moda. Nel segno di influenze, pratiche e discorsi(FrancoAngeli 2017). Fabio Corsini is the communication program coordinator at Kent State University (Florence) where he teaches Intercultural Communication and Fashion in the Media. He is also adjunct professor of Fashion Branding at Sapienza Università di Roma. He has published articles on television narratives, diversity media, and branded contents. Lately he edited the book Italian Pop Culture. Media, product, imageries (Viella, 2018) and he wrote together with B. Valli Quel che resta del Made in Italy (Liguori, 2018 forthcoming).